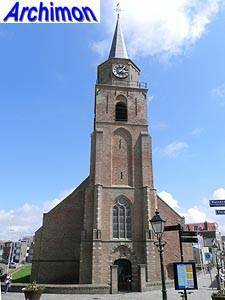 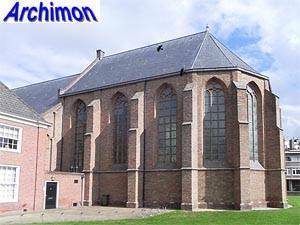 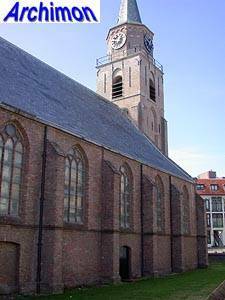 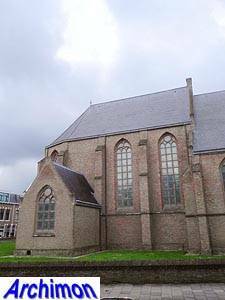 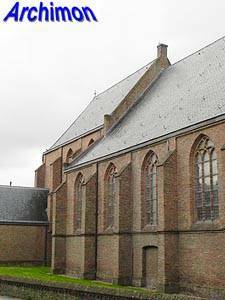 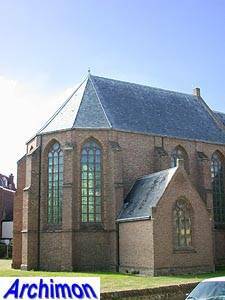 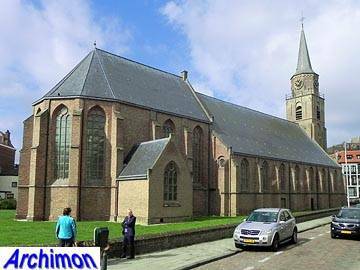 There are, and have been, several (former) reformed churches in Scheveningen. 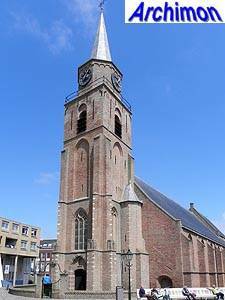 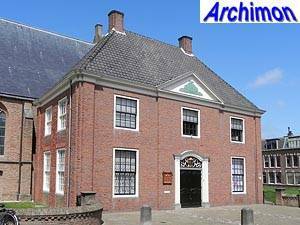 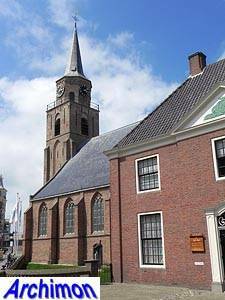 The oldest of these is commonly referred to as Oude Kerk ('old church'), although originally it was a catholic church and was named St. Anthonius. 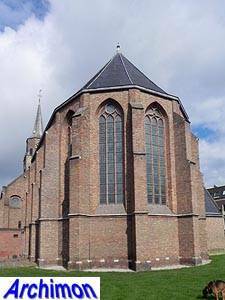 The church is a three-aisled pseudo-basilica in late-Gothic style. 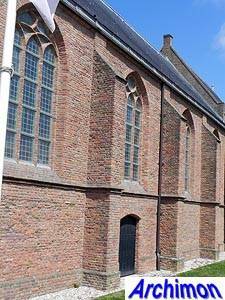 The choir was built shortly before 1470, the year in which a flood destroyed the rest of the church. 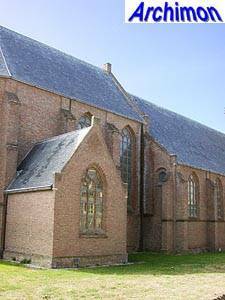 A new nave was built in the late-15th century. 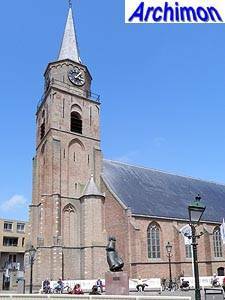 In the first decades of the 16th century the tower was built, a construction with four square segments and an octagonal one. 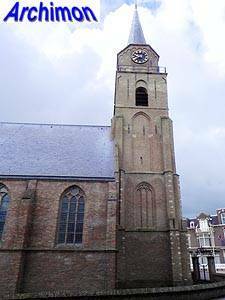 In the 19th century the church was covered with a coat of plaster which was again removed as part of a restoration in 1957-1959. 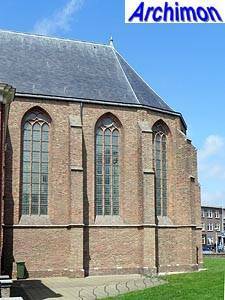 In the same period the sacristy at the northern side of the choir was reconstructed. 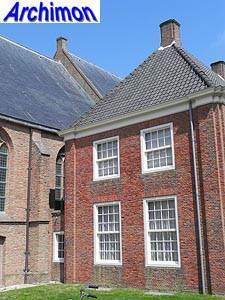 Later that century an 18th-century sexton's house was replaced by a bigger one in historizing style.